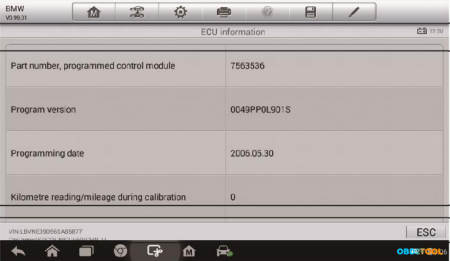 1.Which year of OBD-compliant vehicles do Autel products work with? For Asian cars: cover the OBD-compliant vehicles after 2009 year. 2. Wifi mac mismatch, what to do? 1). Software worked well before, but now get error “Wifi mac mismatch”, please try to click WIFI page, if no reaction, reboot it and no work, maybe WIFI module damaged, please return us for repair. 2) You may get prompt from one single software or from all software, if get from one single software, please directly delete it and re-download, if all software have error, please ensure all the software stored in the SD card is downloaded via correct Autel ID not copied from other SD card. 3) If you operate correctly, but get error “Wifi mac mismatch”, please send our technical support with the picture of S/N and wifi mac address to check whether Autel products management information match or not. 3. Register failure, what to do? The common reason for registration failure is that user input incorrect registration code, please pay attention registration code is 6 figures (which can be found from About page), not the login password. If you input correct registration code, but still get error message “Product not found”, please take a photo of serial number and registration code, then send it to our technical support for check whether the product management information match or not. 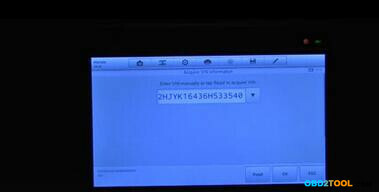 4.Product has been registered, but it still prompts the serial number is not registered and cannot be upgraded. 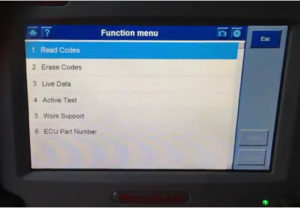 This problem is usually due to the Autel MaxiDAS DS808 Kit machine’s older management program, please download newest System Program via PC Suit, and then insert SD card into the machine. Please use a computer with network connection to login PC Suit update program tool, after you successfully login, it will automatically display “Obtain authorization successfully”, if you are not sure the Autel ID corresponding to the serial number, please contact our technical support. 6.DS708 freeze after boot, and get unknown errors. Solution: please firstly try to reboot the machine, if not work, copy “NK(1).bin” into SD card root directory, then boot again, if still fail to boot the machine, please send the error message to us via pictures or video. 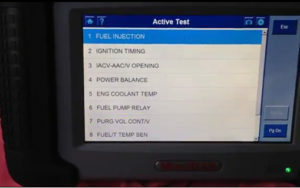 7.Feedback: machine fail to test the car, what to do? 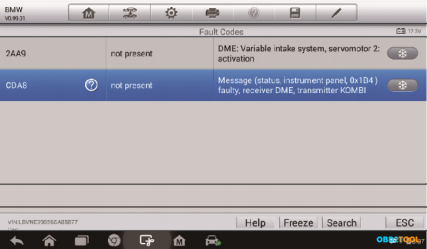 1)If you get prompt “not support” or “communication fail “when trying certain function for some car model, it is likely the software fuction is not available for the model, or you operate incorrectly. Please upload “datalog” to the server and the engineer will analyze the data and fix the issue. 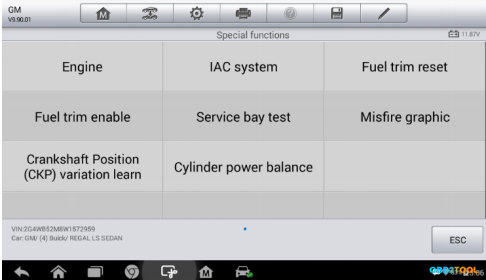 car make, model, VIN, problem description are required in datalog. To know the bug solving process, please tell us the serial number of the machine that uploads datalog and the car model and its VIN. 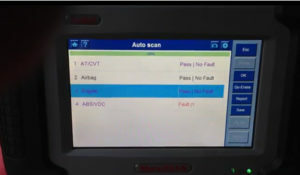 2）If all software in the machine can’t be tested, please check and test whether the cables are connected well or not, especially the testing main cable. 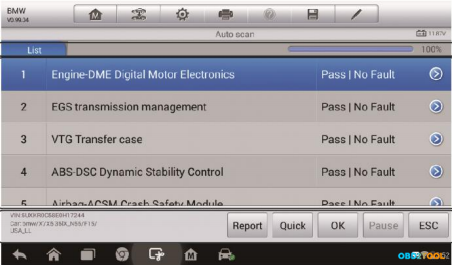 3）If certain software is not working with all car models, please check this car’s connector, or re-install this software. Error: for some older version of DS708, when they update operation system from V6.31 to V6.33, they may get error message “GetSysInfoFromRegTab() failed error” and fail to boot the machine. Solution: contact the seller and they will send you this application named “scan_arm.exe”, and then replace the same named “scan_arm.exe” in the “scan” directory of the SD card, reboot the machine, the error will disappear. MaxiDAS DS808 is standard set. 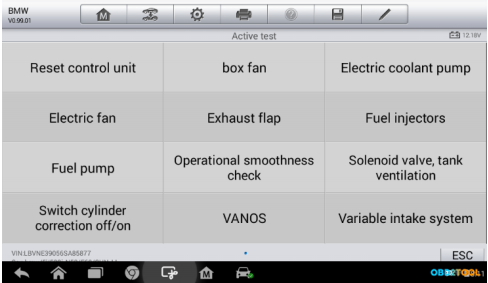 Complete capabilities for codDSes, live data, active test, ECU information, adaptation, matching, etc. 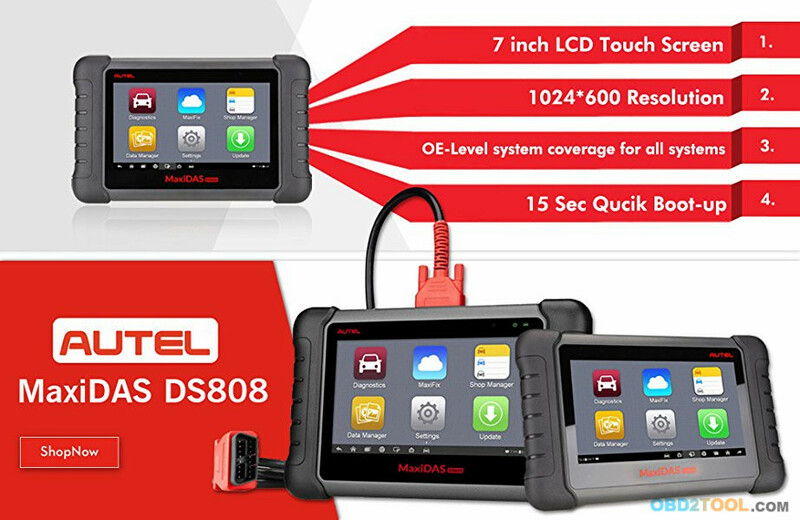 Based on the Android operating system and with 7-inch LCD touch screen (1024*600 resolution), MaxiDAS DS808K (With Conkit) full set is featured with an extensive coverage of OE-level diagnostics. Installed with a fast quad-core processor, DS808 (With Conkit) offers maximum convenience and efficiency for your diagnosis and analysis. Auto Scanner Tool Full kit MaxiDAS DS808 package contain not only DS808 main unit and OBD2 cable, but also contain OBD1 connector and cables for old vehicles. 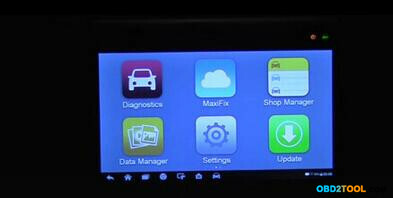 How to use AUTEL MaxiDAS DS808 to diagnose Honda Ridgeline? 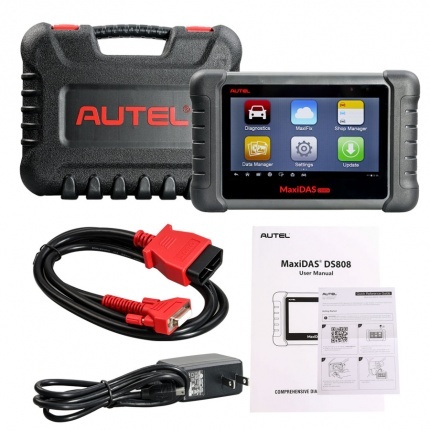 Here is AUTEL MaxiDAS DS808 review for your checking: Use Autel MaxiDAS DS808 Kit to diagnose Honda Ridgeline, fully scan truck systems, read and clear all DTC codes quickly and OK! Step 1: use the main cable to connect AUTEL DS808 with truck via the OBD2 port. And you can see both the power indicator (left) and vehicle communication indicator (right) on. Step 2: long press the LOCK/POWER button to turn on AUTEL DS808. 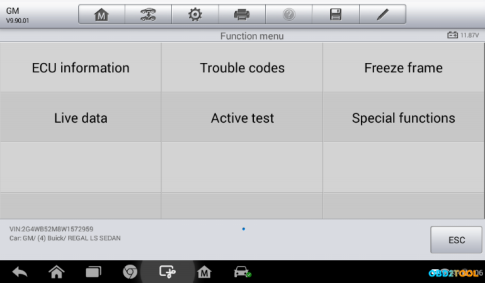 The main menu show as below, you click “Diagnostics” icon to start. According to Honda brand, click the “Asia” tab to choose “Honda”. 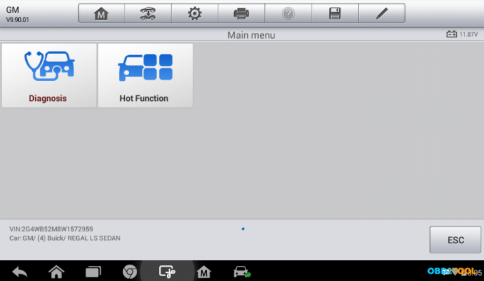 Step 3: Click “Auto Detect” and DS808 will automatically show you this Honda Ridgeline VIN. Click “OK” and you can also view vehicle info, click “Yes” to go on. 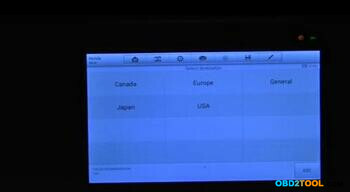 Step 4: Choose vehicle region, in this case, it’s USA. 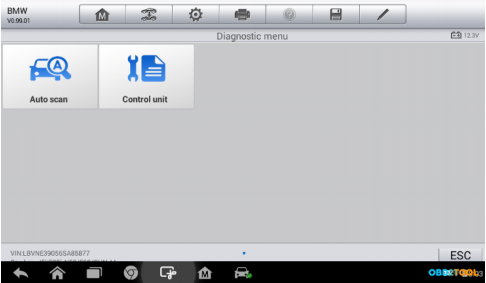 Choose “Diagnosis” and “Auto Scan” function. 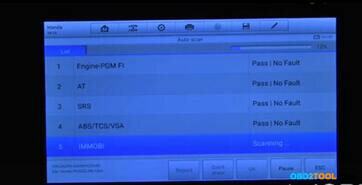 Now engine diagnostic tool AUTEL DS808 starts to scan full systems for Honda Ridgeline! And you just need to wait the process complete 100%. When it complete, DS808 will show you: which systems get wrong and how many faults it found. 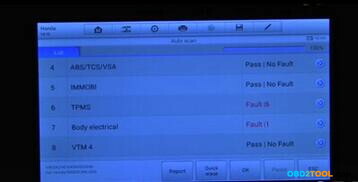 Click the fault to read and clear DTC codes easily! 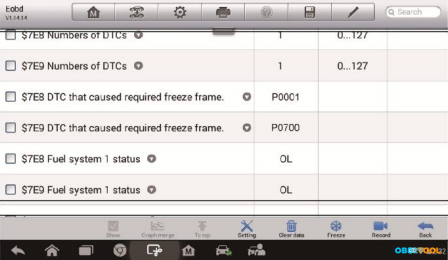 Now NO DTC exists in TPMS and Body Electrical modules anymore! 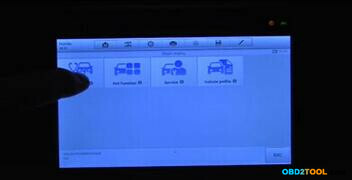 This a how-to guide of 2017 AUTEL MaxiDAS DS808 registration. – Necessary to perform Autel DS808 registration??? Definitely yes! To get access to the Support platform and obtain update and other services from Autel, you are required to register the Autel scanner DS808 for the first time you use it. – What you need for the maxidas ds808 registration? – How to register autel maxidas ds808? 1.Go to the website: http://pro.autel.com. 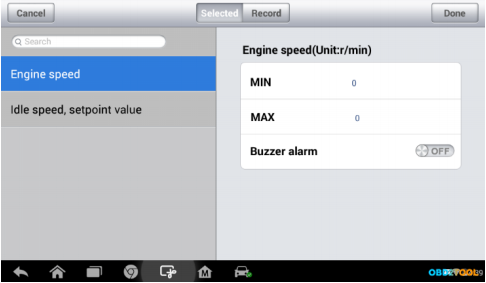 6.Find out the scanner’s serial number and password from the About section of the Settings application on the Display Tablet. 8.Submit to complete the registration.